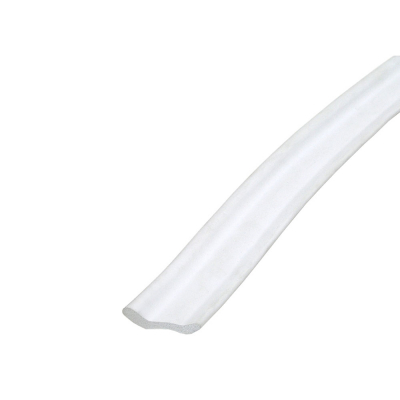 Product Description XtremeEdge Seal - White edge seal is a closed-cell, flexible material that can be glued or sewn to most materials and surfaces. The flexibility and unique design of XTREME SEAL edge seal creates a three-point-contact seal on most surfaces. Features WHITE in color. Black Xtreme Seal is FITWE2787. Uses Boat top edging, convertible tops, side curtains, camper enclosures, windshield tops and sides (boat and convertibles), front-drop windshields (boat), radar arches, deck seals.